Unlike some procedures which may be done multiple times to achieve optimum results, denture implants have to be correctly inserted the first time. It may seem obvious that you don’t want sedation, drilling, and stitches in your mouth any more than is absolutely necessary; but the fact is that if denture implants are improperly placed, you may not get another chance at getting it right, even if you’re willing to undergo another surgery. The reason lies in the complexity of the procedure itself, and the conditions necessary for its success. 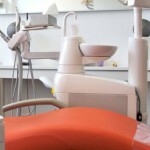 So what is a denture implant? 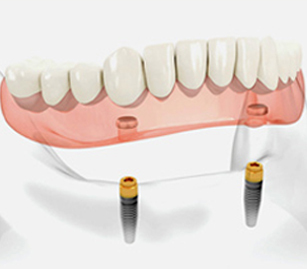 As the name implies, denture implants, also known as implant retained dentures, implant supported dentures or overdentures, are removable dentures that are affixed to the mouth via dental implants, which lend support and stability to the dentures and hold them firmly in the mouth with special attachments. Denture implants are recommended when a person is missing all the teeth in their lower or upper jaw, and also has enough bone to support the implants. Implant supported dentures should be removed for sleep, and cleaned daily just like traditional dentures. The main difference is that they are more comfortable, stable and secure than traditional dentures, which means daily activities like talking, laughing and chewing can be accomplished with relative ease. Denture implants don’t happen overnight, but they’re worth the wait. 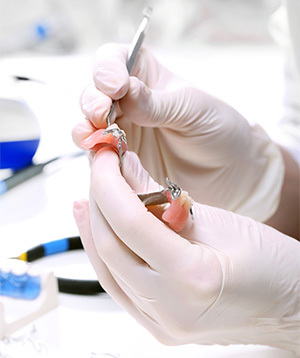 The first step is for your dentist or denturist to custom-make a complete temporary denture (if you don’t already have one), that you will wear until the final implant retained denture is placed. At this point, you are ready for the first surgery. Implants placed in the jaw bone: Holes are drilled in the bone, the implants are placed into the holes, and the incisions are stitched. Over the next 3-6 months, the bone will fuse with the implants. Implants are exposed: Incisions are made in the gum over the implants to expose the tops of the implants. A healing cap or collar is placed over the head of each implant, to help the gum tissue around the implants heal for about two weeks. An impression is made of the gum tissue and jaw. This model is used to make the denture framework and teeth. A thin metal bar, custom made for your mouth, is made and attached to the dental implants. The bar is fitted with clips that will then snap onto the denture. Any necessary adjustments are made. 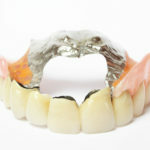 Once everything works well, the teeth are permanently secured to the removable denture framework (bar or ball-retained). Additional visits for adjustment and relines may be necessary. Correct Denture Placement = A Happy Mouth! Because denture implants must heal in the mouth for months, fusing with the bone, correct placement of these implants is key; they cannot be readily moved. There may not be enough bone in the jaw to tolerate additional implants if the original ones aren’t well placed enough to support the denture framework. And once the implants have healed, the bar that supports the dentures must be evenly balanced to prevent uneven strain and pressure on the screws that hold the bar in place. 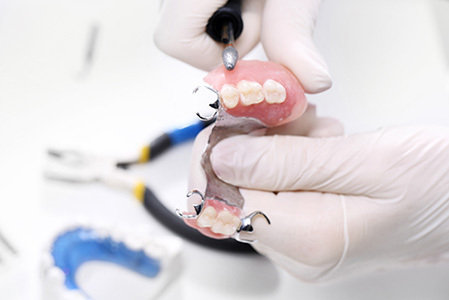 Without proper balancing of the denture, regular use, as well as habits like tooth grinding or jaw clenching, can cause the components to break down before their time, necessitating repair. Denture implants are a great way to regain lost confidence and resume the normal daily activities that were hampered by the loss of your natural teeth. But they have to be done right the first time, in order to fulfill their proper function. The best way to decide if denture implants are right for you is to educate yourself about them, and to find a reputable denturist who will correctly insert the implants for optimum comfort and stability. Our Toronto team at Dentures Direct clinic will be happy to answer any questions you might have about denture implants. Call us to schedule an appointment, or ask a question here.